It appears that treasure is usually confined in safe custody, and when you talk of Mother Nature, it has its special way of keeping highly valuable natural resource. They are always kept in depths; whether minerals, oil or water. To reach this depth, reach and take out this hidden treasure, drilling of the earth surface is required. Long before now, the method used to get to this treasure was by manual digging of the earth crust and this was really difficult and involved a lot of manpower. With the advent of technology and innovations, there have been a significant change as various mechanized processes have now been employed in the mining and drilling of such resources. For example, the drilling rigs, is one technology that have made mining a lot easier today. However, earlier in the stages of this mechanized mining, pneumatic drilling rigs were rather used in the drilling process to reach the depth. Pneumatic drilling rigs made a lot of changes in the mining industry as it functioned effectively and made mining a lot easier and less tedious. It was actually adopted in drilling water as well as other minerals. As time went on accompanied by more advancements in technology, the pneumatic drilling rigs became gradually replaced by the more efficient hydraulic rigs. Known as the new generation drilling rigs, they were found to be more cost effective and achieve more precise drilling holes hence improving the overall efficiency of the entire process. Today, the hydraulic rigs are employed in pole hole drilling, blast hole drilling, water drilling and lots more drilling processes. It has been preferred over the pneumatic drilling rigs due to the added advantage and features that come with it. One of the key advantages the hydraulic rigs have over the pneumatic ones is the fact that the hydraulic rigs penetrate faster than the conventional pneumatic drilling rigs. This is an important factor in the industry and business as it increases productivity and may have a way of decreasing production cost as loss of time. What makes the pneumatic rigs low in their penetration speed is as a result of the air operated feed system. Considering the hydraulic rigs, they may be expensive initially but it proves quite profitable in the long run as there is less maintenance costs and less fuel consumption. Pneumatic rigs are being replaced with hydraulic ones all over the world with arrival of this new technology. 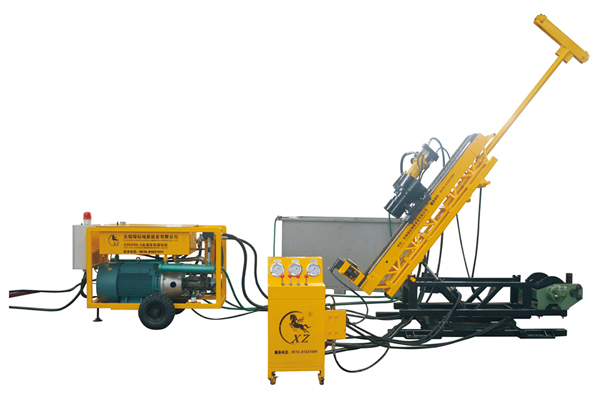 The mining process is made a lot easier with the Hydraulic blast hole drilling rigs. Again, hydraulic pole hole drilling rigs have been employed in various industries such as in construction and a lot other fields whose processes have more or less to do with drilling. A typical application can be seen in the piles which provides a robust base reach high structures such as overhead bridges and other high-storey buildings. The hydraulic pole hole drilling rigs make the entire process a lot faster a saves both time and fuel consumption. Less manpower is needed during operation with the hydraulic drilling rigs, hence, provides a good alternative to the shortage of labor faced by most mining and construction industries.